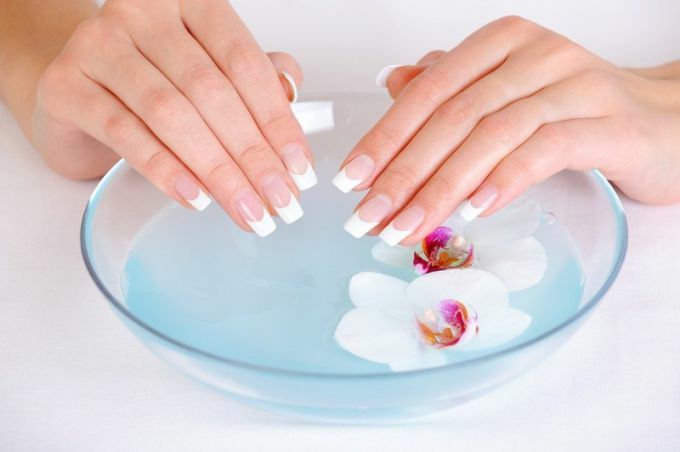 Manicured hands is one of main external criteria by which we evaluate other people, but what if your nails refuse to grow, exfoliate and acquire an ugly yellow color, and finally want to become a happy owner of a fashionable and beautiful manicure. Nails, like hair, need quality nutrition, rich in vitamins and minerals, so you should focus on certain foods that contain the most needed the nails of the substance. The main vitamin responsible for the growth rate of nails is vitamin a, in excess contained in broccoli, avocado and carrots. It is worth remembering about jirorastvorimogo of vitamin A, so it is better absorption of the essential fats such as a tablespoon of olive oil in a salad with broccoli, or a spoonful of cream to the carrot juice. Nails lacks strength? Come to the aid of the vitamin B of Kale, mushrooms, almonds and buckwheat. For beautiful colors and smooth nails is to focus on vitamin C, which is complete in kiwi fruit, bell peppers, parsley, black currant, and sea buckthorn. Vitamin E will solve the problems of dryness and fading, therefore the owners of dull nails is to consume pine nuts, pistachios, and rose. Without calcium on healthy nails can only dream, but to assimilate need the vitamin Dproduced in the body under ultraviolet light, so you need not to forget about sunbathing: a quarter of an hour in the sun per day is enough. Having dealt with internal problems, it is possible to take care of the external positive impact, but here are well proven special baths. Easy to use and gives a significant positive result already after the first procedure. For its preparation you just need to add in warm water a couple of tablespoons of sea salt (phyto, it will only increase the benefit) and hold it in her fingers for twenty minutes. This bath will strengthen and whiten nails. Good in the fight against dry and brittle nails. You can use any oil, but preferably the wheat germ oil, rich in vitamin E. the Oil should be slightly warm and hold it for nails fifteen minutes, then wet your fingers with a paper towel, not washing away the remnants of oil and letting them soak. For this bath you will need to dissolve in hot water two tablespoons of salt and add a teaspoon of iodine, keep the fingernails in such a bath ten minutes.